Scotech advise you on the best solutions for inter-building links beyond standard connections which extend the range to further than the maximum 90m for Category 5e and Cat 6 copper cabling. 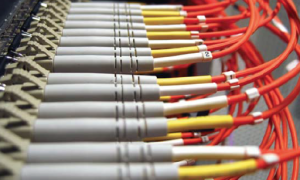 Fibre Optic cabling provides greater bandwidth than copper. It provides greater security and zero electromagnetic noise and interference. Our networks are fully tested and backed by the manufactures warranty.